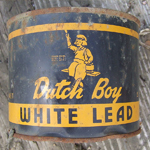 CTG performs Inspections, Risk Assessments, and Final Clearance evaluations to identify lead-based paint and lead dust hazards that may result in health effects and have an impact on renovations. All lead work is performed as mandated by HUD, EPA, and Ohio Department of Health by licensed individuals. Once these services are performed, recommendations are provided to safely manage the lead issues moving forward. These services include testing paint on accessible surfaces, occupant interviews, lead hazard identification of deteriorated paint, friction, impact and chewable surfaces, and dust wipe and soil sampling. The lead laboratories used by CTG are certified by the U.S. Environmental Protection Agency (EPA) National Lead Laboratory Accreditation Program (NLLAP) for the bulk, dust and soil analyses performed. Most paint testing will be performed with a portable x-ray fluorescence (XRF) instrument used to non-destructively test for lead in paint. All hazard control options provided by the risk assessor will be technically feasible and specifically suited to the identified surface(s) or hazard. The control options will take into account the surfaces to be disturbed during renovations, the condition of the property, and the location and severity of hazards. CTG Environmental’s team of certified risk assessors and lead-based paint inspectors are licensed to perform onsite XRF testing, paint chip testing, wipe testing, a comprehensive evaluation of potential lead hazards (including lead-based paint, lead dust, lead in water, and/or lead in soil), and lead clearance inspection on all projects involving abatement. CTG Environmental certified lead risk assessors provide on-site investigation to determine the existence, nature, severity, and location of lead-based paint and dust hazards. Deteriorated (peeling, chipping, cracking, etc.) paint and any paint that will be disturbed as part of planned renovation or repair projects are tested for lead-based paint. Other surfaces determined to be potential lead-based paint hazards, such as friction surfaces of windows and impact surfaces on doors and doorframes, also are tested. CTG conducts lead-based paint inspections utilizing an x-ray fluorescence (XRF) analyzer, which provides on-site readings of the concentration of lead. All inspections are conducted by Ohio certified lead inspectors / risk assessors and are in accordance with federal HUD guidelines and the 2010 Repair, Renovate, and Painting (RRP) rule. A customized scope of work is outlined to meet the goals of each project. CTG Environmental assesses lead exposure for individuals (specifically RRP workers, building occupants, and other exposed individuals), environments (specifically housing and commercial buildings constructed before 1978), and during renovation and remodeling activities. CTG Environmental certified lead risk assessors collect paint chip samples and submit them for analysis to a laboratory recognized by the National Lead Laboratory Accreditation Program (NLLAP). CTG Environmental professionals collect drinking water and soil samples for analysis to characterize sources of lead in the environment. CTG Environmental provides HUD, Ohio, and EPA lead trained project monitors for on-site abatement activity oversight. Our experienced monitors examine, approve, and document the progress and quality of the abatement procedures, and conduct final wipe clearances upon completion of the project.